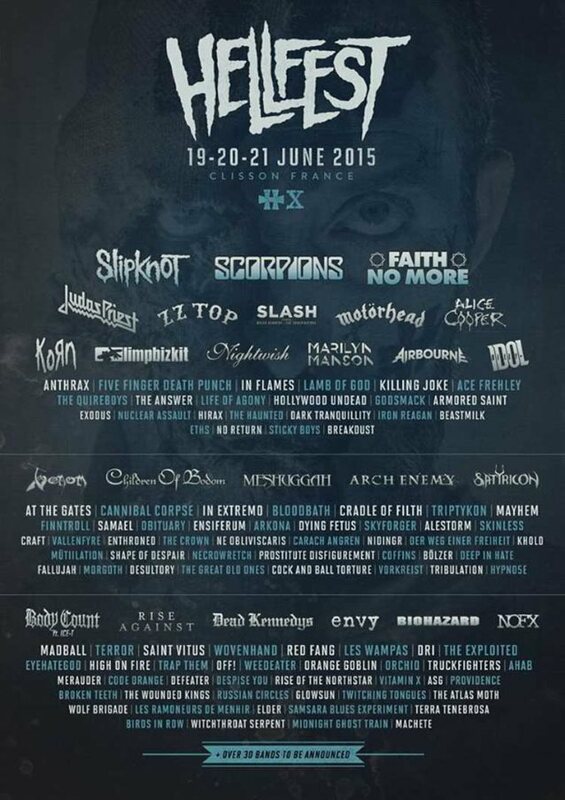 Fan-filmed video footage of BUTCHER BABIES' entire performance at this year's edition of Hellfest, which was held June 19-21 in Clisson, France, can be seen below. BUTCHER BABIES will release their sophomore album, "Take It Like A Man", on August 21 via Century Media. The CD was produced by Logan Mader, who has previously worked with FIVE FINGER DEATH PUNCH, DEVILDRIVER, CAVALERA CONSPIRACY and GOJIRA. "We all come from different places and backgrounds, but every member of this band had to fight to be the person he or she is today," said BUTCHER BABIES co-vocalist Carla Harvey. "That's the whole basis for the record. It's not a gender thing. It's the inner strength you have to find in order to pull your boots up and keep moving forward, whatever the situation may be." While penning lyrics, Shepherd and Heidi Shepherd also opened up like never before. Blatant, brutal and (sometimes) belligerent honesty was the only rule.